Every one from your father to your buddies to your bank manager has said to change your oil regularly. Well, everyone at AAA Kavtech Inc. will join the chorus. Your engine generates temperatures in excess of 200 degrees, or higher. 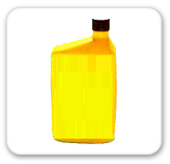 Your motor oil lubricates and helps to cool your engine. Over time motor oil loses some of its viscosity (its ability to flow). It is recommended that you change the oil in your car every 5,000 kilometres. Just call us at AAA Kavtech Inc.. We can change your oil this time or set up a schedule for you to regularly have your oil changed with the seasons, or each month depending on your driving habits.